Vivid Promotions Australia has a large range of products that can made offshore which allows more colour combinations to be created, custom product shapes to be made and also allows us to Source various promotional products that cannot be found on our website. Vivid Promotions wants to help you find the perfect promotional products for your clients. With our Indent sourced products we can offer even more competitive pricing on our promotional products whilst the product quality remains the same. When you think of Custom Indent sourced promotional products, generally you would think they have a ridiculously long lead time, but this isn't the case anymore, Air freighted promotional products can now be shipped into the country within 7 days and Sea freight doesn't have to take 10 weeks, now with some promotional products arriving in the country within 7 weeks. 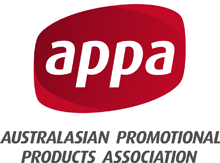 Larger unit quantities of promotional products are generally made offshore due to the large factories in America and China which cuts weeks off the workload compared to if the promotional products were manufactured in Australia. Looking for something unique that cannot be made in Australia? Vivid Promotions Australia has all your custom made promotional items covered! Sourcing the most difficult of promotional products has never been easier. Due to the size of the order and the savings in the labour cost, an indent order represents a substantial saving on every promotional product. The bigger the order, the better the price! With indent orders you are the designer and you can choose everything from fabrics to print positions and contrasts. Here at Vivid Promotions we can also fully custom design and manufacture products to suit your business ideas and special promotional needs. From concept stage to production stage and through to final delivery stage, our staff here at Vivid Promotions can arrange it all for you. Produced especially for you in our offshore factories, original indent designs create fabulous products and lasting impressions for years to come. Don't waste your money, time and effort on expensive TV Ads or poor quality merchandise that costs a fortune, Vivid Promotions' Indent sourced promotional products are an inexpensive way to purchase thousands of products are unbelievable prices. A wider range of custom printing options are also available offshore with heat transfers and Glow in the dark and glitter printing options now obtainable at a minimal cost. Choose indent sourced promotional products and take advantage of a vast array of colours, fabrics and decoration options to showcase your brand in a truly unique style! If you are looking for exclusive promotional products that will offer maximum brand exposure and leave a lasting impression on your customers then contact our friendly staff here at Vivid Promotions and let us turn your advertising ideas in to a reality. Here are a number of Promotional Products that Vivid Promotions Australia has done in the past. Here at Vivid Promotions we strive to find your company the perfect promotional products for all occasions whether it be for a Business Opening or name change, Trade Show Event, Gift for clients or Staff incentive we have it all.. And if we don't list it on our website we encourage you to call us today to organize the making of your dream promotional product.